DayStar Solar Scout 60mm SS60-ds is a 60mm diameter H-alpha solar telescope offers doublestack bandpass performance in Sun observation and photography at a very low price! 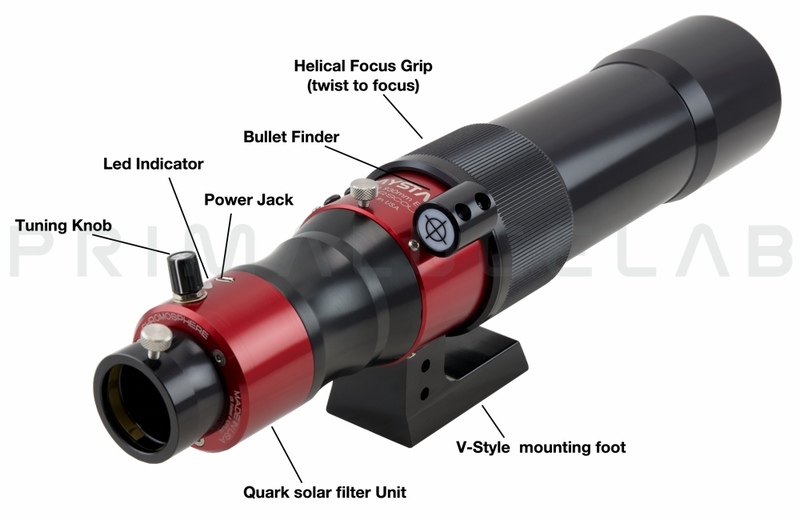 The large diameter combined with the narrow bandwidth allows you to see or take pictures with great detail of many phenomena such as solar prominences, sunspots or filaments. Front helical focuser with fine precision for visual and imaging (it can't slip and does not turn the eyepiece).